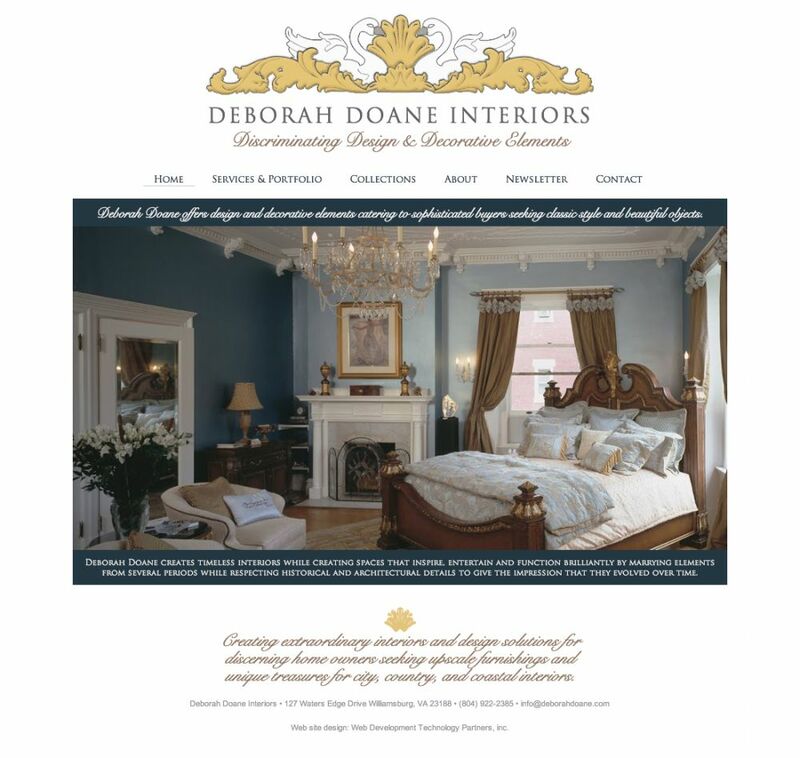 Deborah Doane Interior Design - Web Development Technology Partners, inc. I highly recommend wdtp.com for all your website needs, they are very professional, approachable and receptive to the ideas of the client. As an interior designer with an eye for color and attention to detail being part of my business, it was important to me to convey this in my site. I made many changes throughout the process and their patience was invaluable to me in creating the end result I visualized.